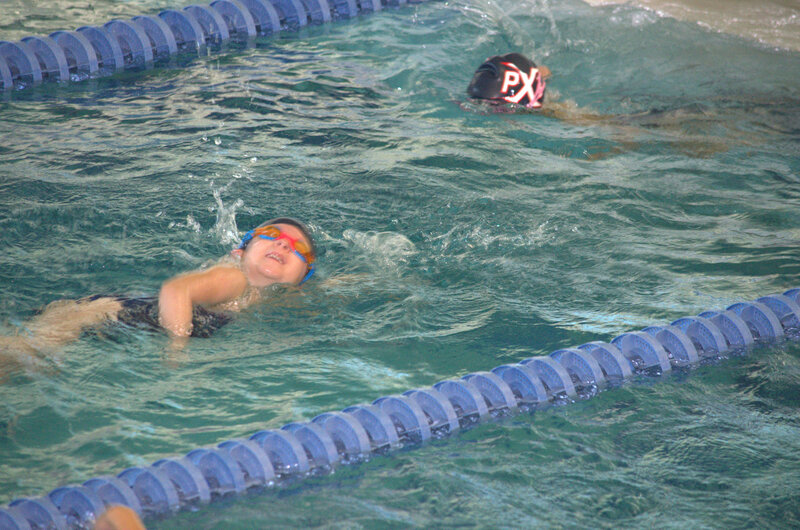 My daughter had her first swim meet last weekend. 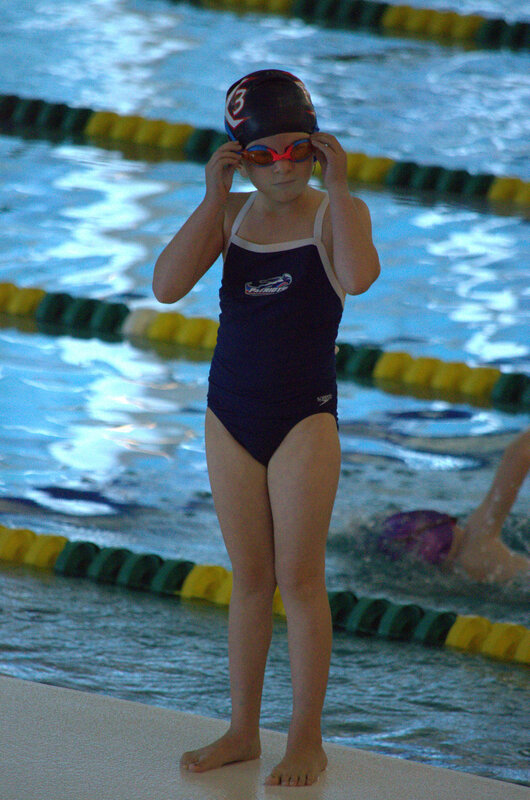 She’s such a swimming star! To me anyways, lol! She was the youngest kid competing but she didn’t come in last! We were very worried that she would just cry and not actually swim. She did a kids race a few weeks ago and when she saw the other kids pass her, she started crying because they could run faster. At least in the water she can’t really see them ahead of her, so I was hoping that would help. We spent a lot of time telling her that we just wanted her to have fun and try her best. That it was ok if she didn’t come in first and that she should just enjoy her time with her friends between events, and to just swim like she’s at practice. She had to be there at 8:15, but her first event wasn’t until around 10:30 so my husband took her early and got a seat. I took my time getting ready with the baby in the morning and making sure I fed her before we left. I got there around 10 and the baby was content and fell asleep in the carrier I brought. 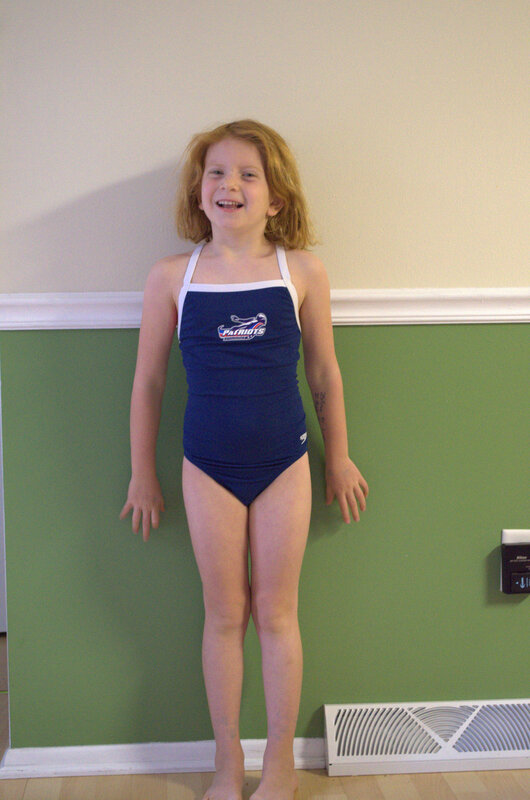 She had 2 events for her first swim meet. She was doing freestyle and backstroke. Both were 25 yards, so just one length. We took video of her actual events, but here she is during warm up. She had her team cap on also. I told my husband to bring the information about what lane she was in so we could pick her out and he teased me about not being able to pick out my daughter…then he got there and looked down at a sea of blue, lol! Really the times didn’t matter to us. We just wanted to make sure she enjoyed it. We know she’s good at it. She knows she’s good at it. But we don’t ever want to feel like we are forcing her to go, and we want her to know we only expect the best she can give us, not trophies and first place finishes. Someday she might get a first place finish, but for now we are just going to enjoy watching her do something she enjoys so much. Did you play a sport as a kid? Do you feel like it was always your choice to continue or did your parents make you? Will I Lose ALL My Teeth?